Every year I enjoy the holiday season more and more. 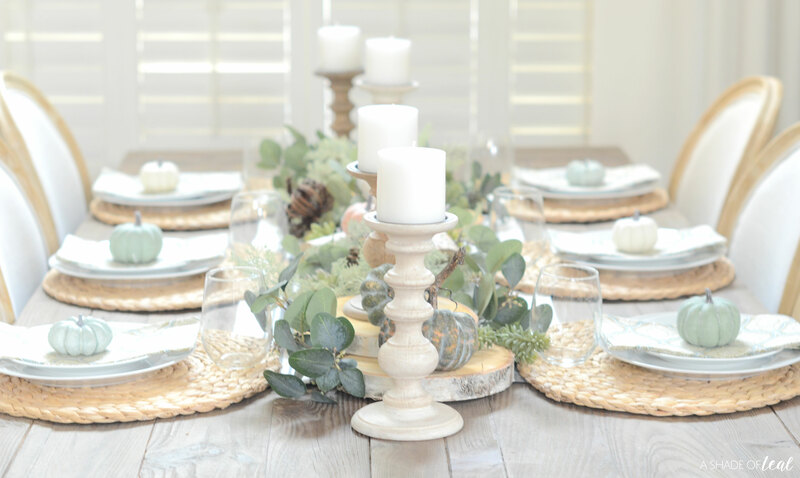 Maybe it’s because I have my own home and I can decorate as I please, or maybe it’s because I get to create & keep alive traditions with my kids. Either way, I seem to get more excited every year! 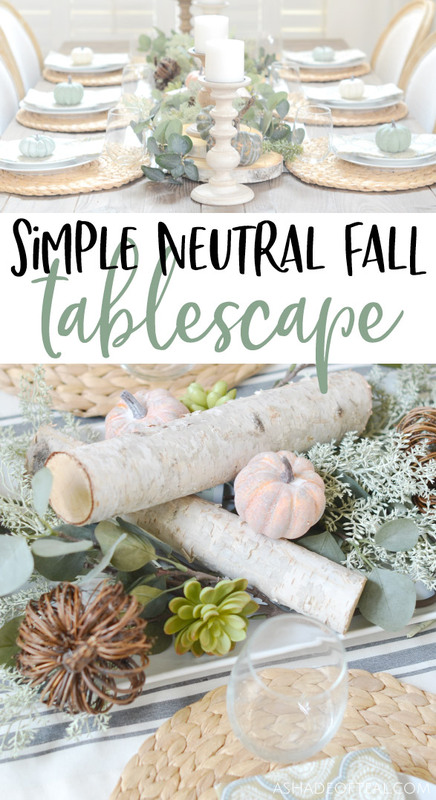 This year I wanted to create a Simple Neutral Fall Tablescape, perfect for family gatherings or even Thanksgiving. 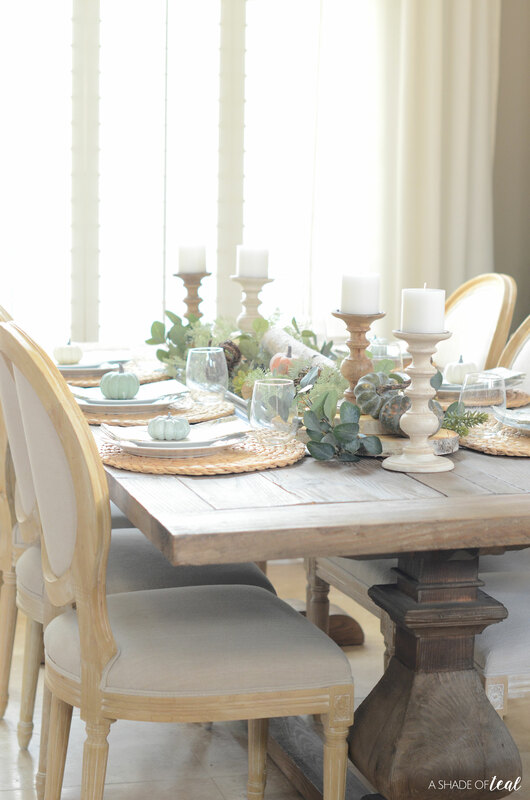 I love simple, neutral, and rustic decor. 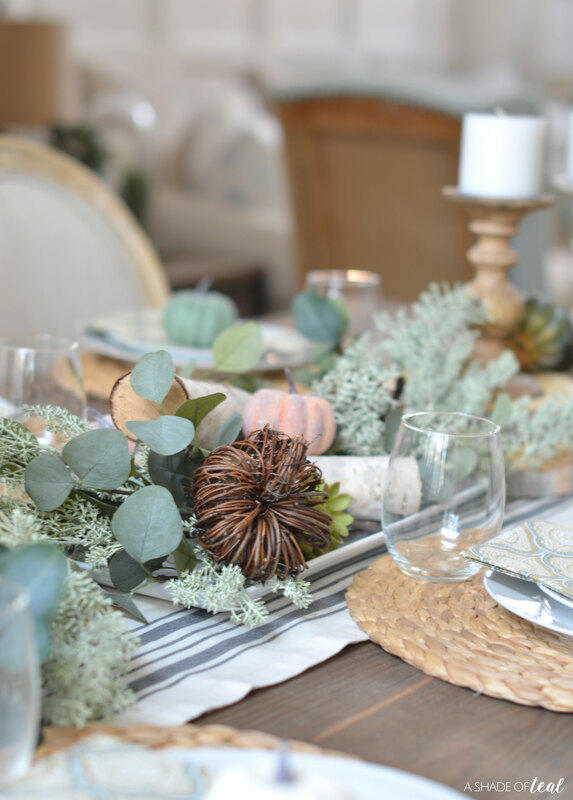 When it comes to decorating a table for a specific occasion I like to try and use elements I already have, and lucky for me everything on this table was decor I previously had. 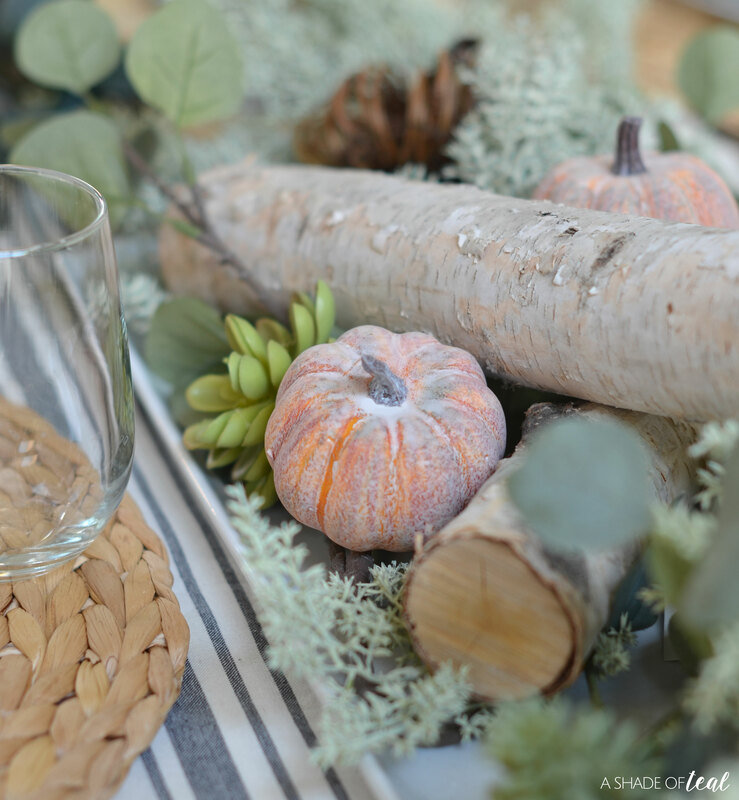 To create this Simple Neutral Fall Tablescape, I used birch logs and rounds, lots of leafy greenery, and of course pumpkins! 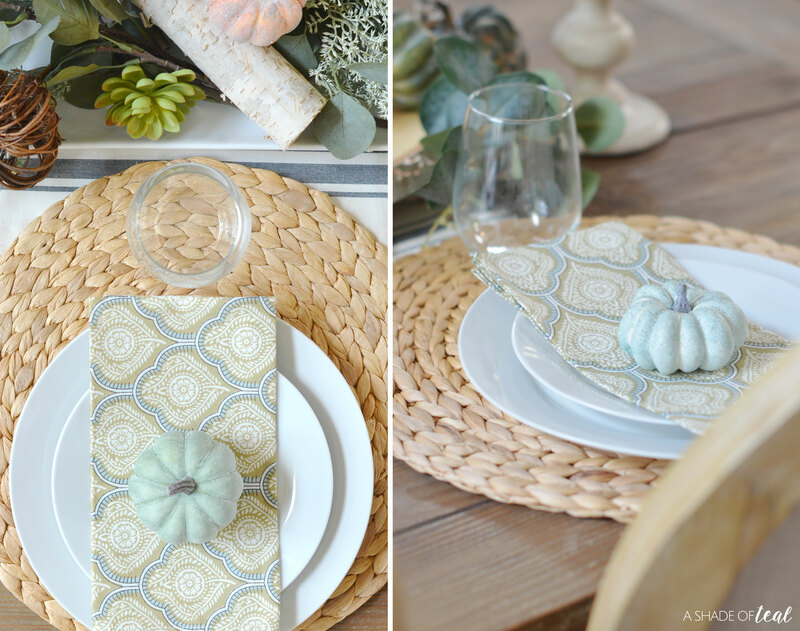 I kept the plates and linens simple and added matching pumpkins to each place setting. 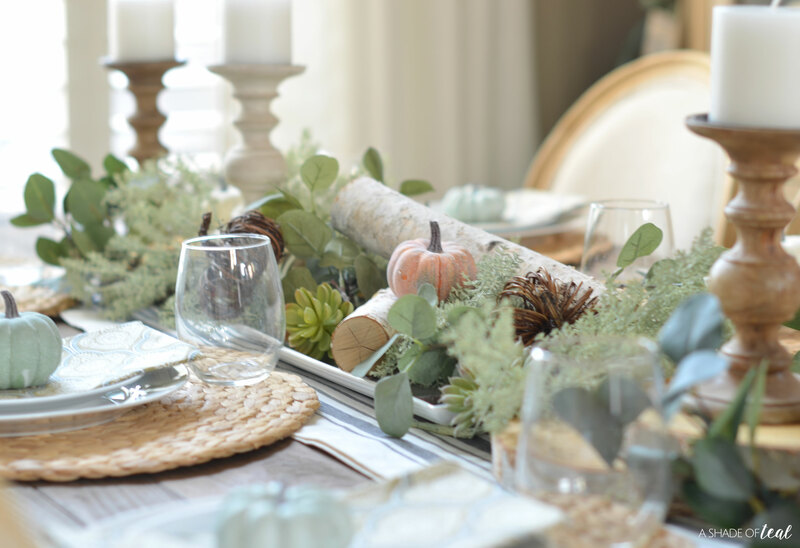 As much as I love real plants and greenery, decorating with faux plants is much easier. One main reason is that I don’t have to worry if someone is allergic to something. 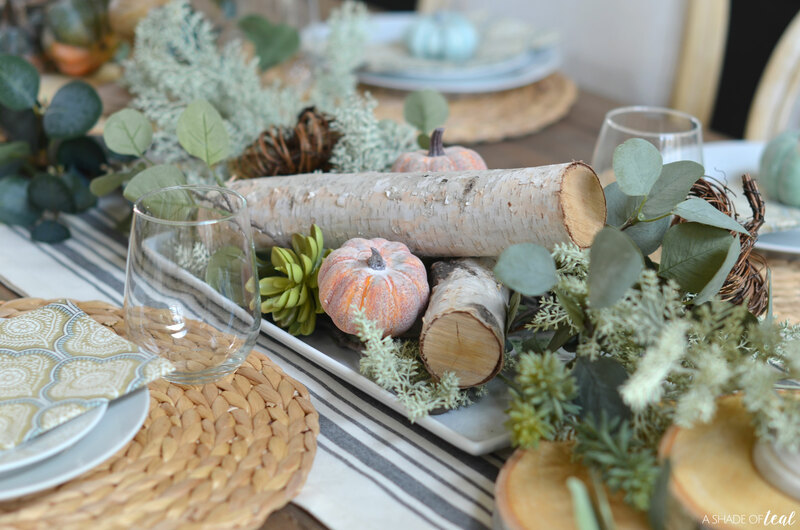 I absolutely love the look of Eucalyptus, but the smell makes me feel so sick. 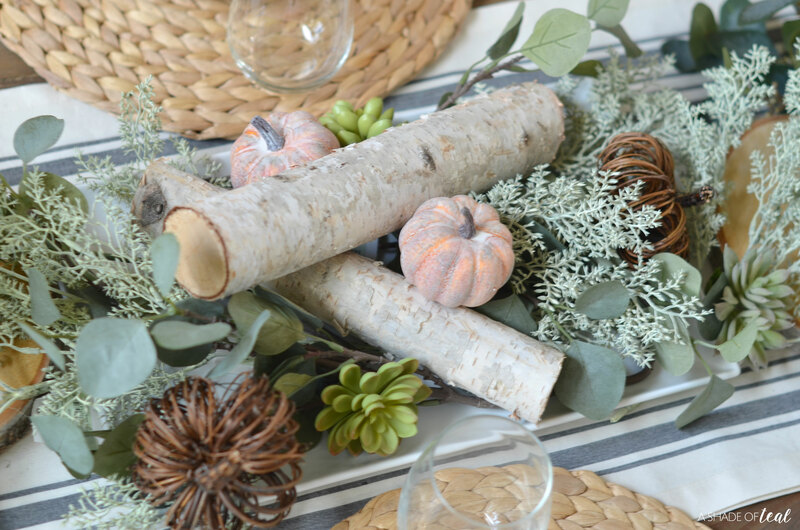 My oldest has started to really enjoy helping decorate for the seasons, so this was such a fun and simple tablescape she could help with. 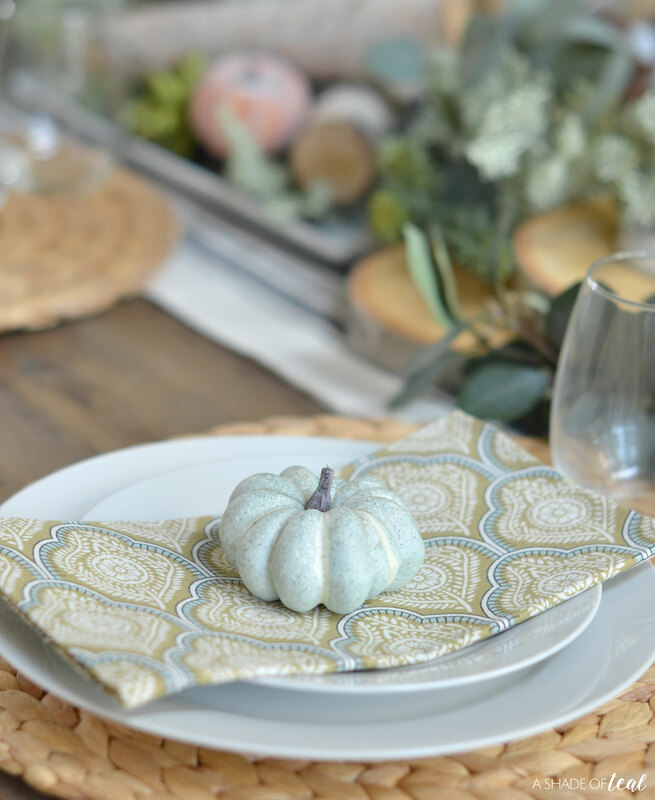 Trying to teach a 5 year old the importance of certain holidays and traditions isn’t easy, but it’s been a little easier when we decorate together and she learns to associate the 2 together. 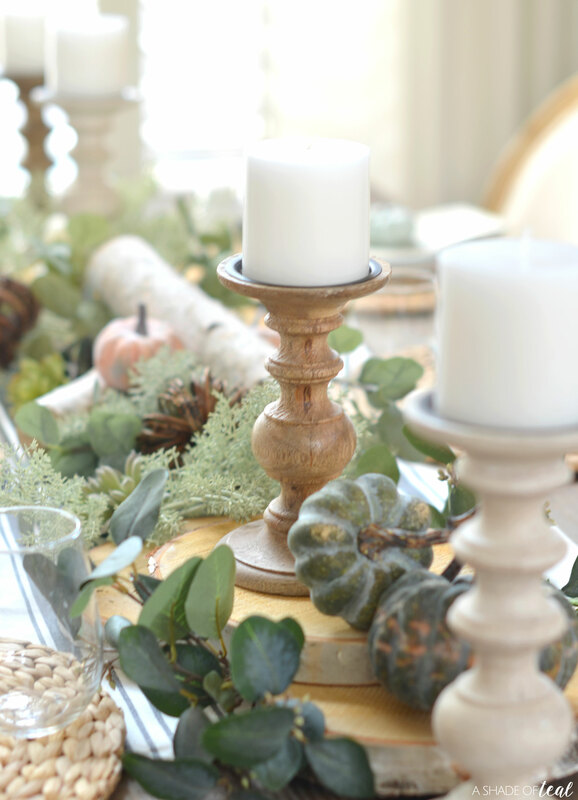 Happy decorating, and hope you have a great start to the holiday season! 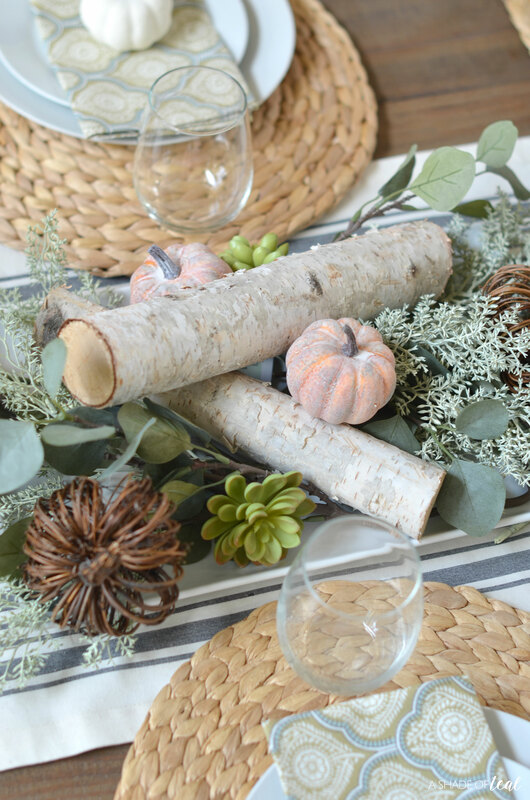 Make sure to pin this Simple Neutral Fall Tablescape below. Enjoy! 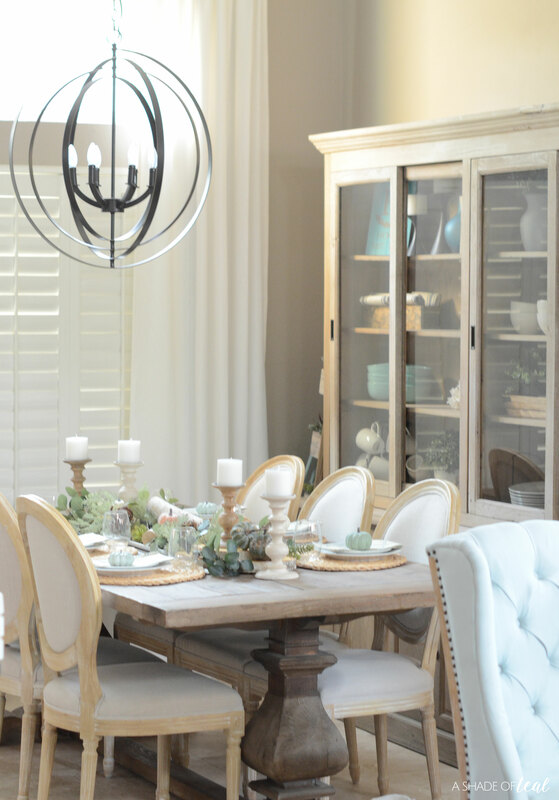 « Celebrate Milestones with a Beautiful Front Door! 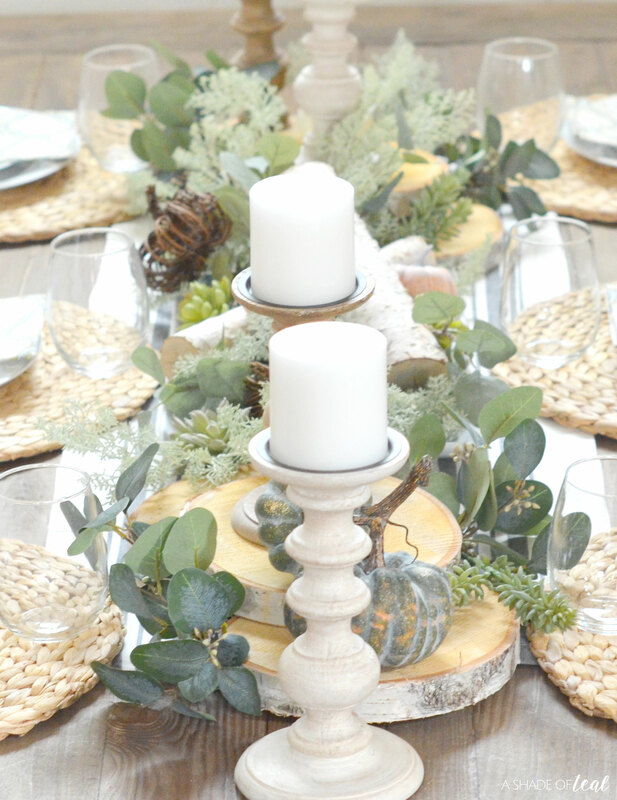 What brand is your Smoked Oyster paint and where can I buy it?